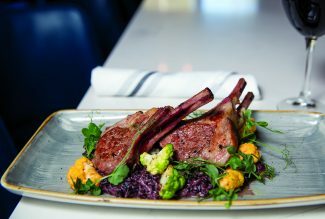 Whether you bike, run, hike or take the gondola… you won’t be disappointed with the creative menu offerings at Bistro Fourteen, a gem not-so-hidden away on top of Vail Mountain at Eagle’s Nest. The expansive deck beckons but the inside is just as appealing with large windows overlooking the restaurant’s namesake: the 14,000-foot Mount of the Holy Cross. 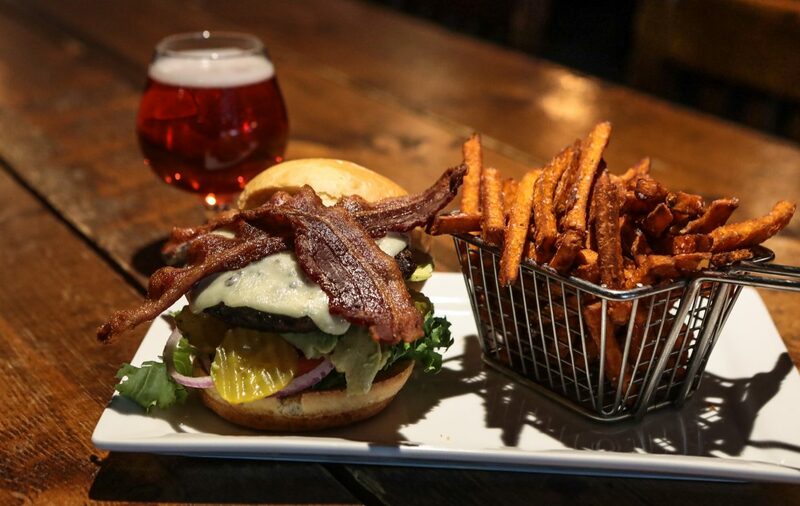 Chef Matthew Good, who looks much younger than his years, has revamped the menu, leaving only the Bistro Burger untouched. He has years of restaurant experience around the valley and with Richard Sandoval restaurants in Denver; his dad was a chef for 30 years so cooking just might run in the family. Last winter he worked at Mid-Vail, bringing his fresh approach to Bistro Fourteen this spring. He’s quick to give credit to his sous chef, Alec Cheng. “It’s nice to be here and get credit for my menu. 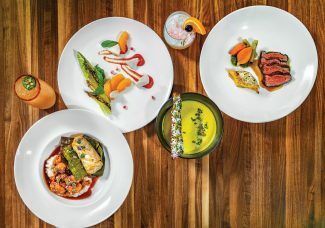 They let me have full control — I’m trying to go for the ‘Colorado Proud’ menu,” Chef Good says, before describing each creation in mouthwatering detail. 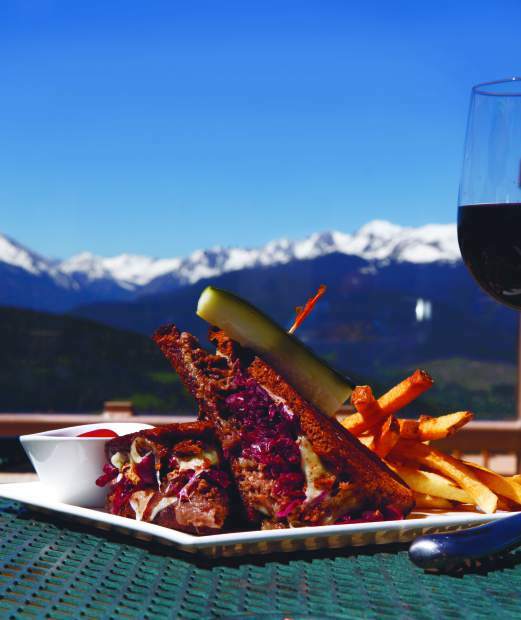 As if it’s not special enough to break bread at 11,000-feet above sea level, you’re surrounded by snow-capped peaks, feeling the sun shimmer under the bright blue sky as you’re tempted with creative and unique flavors. 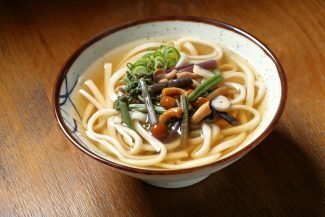 Chef Good takes a caring and imaginative approach in his dishes. The creamy smoked trout dip, inspired from a previous job, replaced the previously popular crab dip. Served with homemade thick-cut potato chips, the dip comes with red onion marmalade and toasted almonds. It’s a salty, creamy lovely way to start off the meal. On the rooftop, Chef Good has a small herb garden and there are chives growing out front. The salads are made with Colorado greens — the Bistro Summer Salad’s spinach and arugula is tossed with a slightly tart, not-at-all-sweet blueberry champagne vinaigrette, touches of goat cheese, crunchy sunflower seeds and pickled red onions that burst with flavor. Chef Good talks excitedly about pickling, growing his own tomatoes at home and Bistro Fourteen creations that started in his own kitchen, such as the Colorado Lamb Rueben. It’s a total twist on the classic Rueben but it comes together perfectly. Starting with house-cured, brined and smoked lamb, it’s layered with braised red cabbage (made from an orange-juice and red-wine reduction — he makes everything sound so simple) with a dill Havarti cheese and horseradish mustard, served on locally made pumpernickel bread. There’s crunch, a bit of spice and the smoky lamb tying it all together. Who doesn’t love a spicy, smoky sandwich? A little something is usually enough to end a meal with — and that’s just what pastry chef Ann Armstrong offers in her ‘petite sweets’ menu. Rumor has it she has a chemistry degree in addition to her pastry prowess. 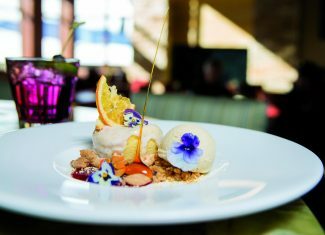 Many of the ingredients are local — Palisade peaches and apricots — and all desserts come with a dollop of house-made ice cream or sorbet. It’s a happy ending, indeed.